If you are working behind a corporate firewall, most of your favorite websites might be blocked. It is true for offices, schools or colleges where even the domain name and IP address are blacklisted to prevent students and staff from going to certain websites like Facebook, Twitter, Naukri, PayPal etc. Another genuine need to access blocked websites is when a domain name is blacklisted by Internet Service Provider without user permission and the technical support is unable to unlock the ban. For a normal user, proxy software is enough to bypass the firewall block but think of a situation where you cannot use a proxy because either you do not have enough privilege to install a proxy application or all available web-based proxy servers are banned. It is really a frustrating situation. You do not need to worry even if proxy fails, there is another method to bypass the restriction even if the desired domain name and website IP address are blocked. This is my first suggestion and if you are unable to use this tool, then proceed to the second step. We can use the decimal sum of a domain IP address to access it by bypassing the college or office firewall. Since the procedure is a little bit tricky, I will explain it with the help of an example. Here I am going to access Google on my computer using this trick. Before proceeding you must learn the IP address of the banned website. You can find it by following the steps below on a computer which is not protected by the firewall. Here Google is the domain I want to access. 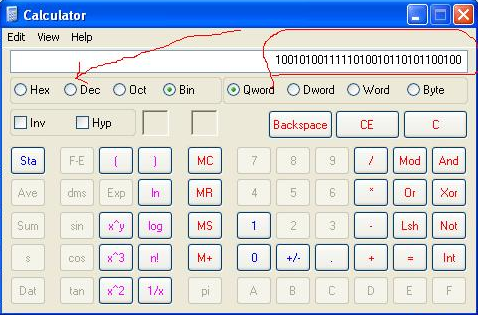 You can use a scientific calculator if you find it difficult. Here the IP address of Google is 74.125.45.100 and it will be converted to the set of octets. Please make sure that it is a set of octets by adding 0 in front of the binary number where it cannot match 8 bits. Now we need to type the decimal number on the address bar of Internet Explorer as in the format http://1249717604 and it will be redirected to Google.com. You can try the links provided in the tutorial and maybe you may find one which is not yet banned. To access blocked websites through Mowser, click on the link below.